Every haunted house needs someone spooky to haunt it. But trying to get the right haunter can be a challenge in and of itself. We don't recommend trusting a poltergeist because they're too messy (nobody wants to have to pick up those pots and pans). Phantoms are out because they're just far too loud with all of the moaning and hullabaloo in the hallways. And frankly if you hire specters to do the haunting you're just not going to get your money's worth. The only supernatural force that should be in a home to scare the inhabitants are traditional ghosts. 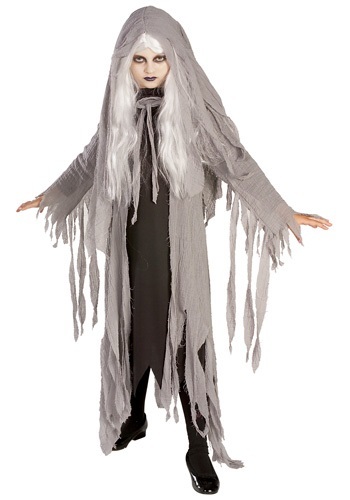 Ghosts get their work done in the scaring department and now your child can get on the spooky good fun with this Midnight Ghost costume. Get your little one this costume, and you'll be one step closer to getting that house haunted!